← Night Owl Reviews HALLOWPALOOZA Scavenger Hunt! Please welcome back the lovely Nancy Lee Badger! She’s here today to celebrate her new release, SMOKE. 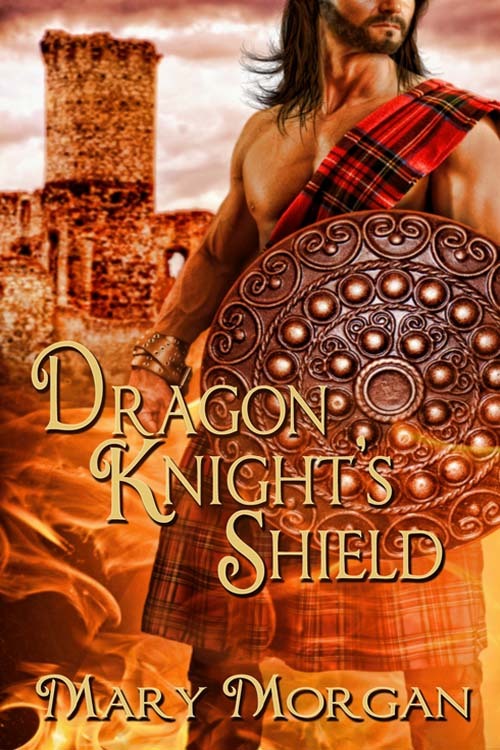 I’m eager to start reading the second book in her Clan of Dragons series. MM: Welcome, Nancy. I’m so thrilled you could visit us today. Describe a typical writing day. Are you a morning, afternoon, or night-owl writer? NLB: If I wasn’t married to a hard-working man, I probably would work late into the night. Instead, I go to bed at a decent hour (his words) and am quiet when I do get up. I used to work as a 9-1-1 operator and those horrid shifts kept us both awake. We both need our beauty sleep. MM: I can relate to the beauty sleep! Explain for us how this new series came about. NLB: Years ago, I laughingly threatened my youngest son that I would someday base a series on his dragon tattoo, which he received while in the army. After I came up with a paranormal story line, I talked my son the veteran drill sergeant into modeling. His back is on each cover, with the tattoo prominently displayed. MM: I love this story, Nancy Lee! 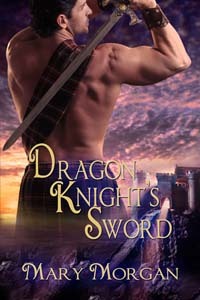 Of course, I’m crazy over the dragon on the cover, too. Here is the first book in Clan of Dragons, SPARK! Can you tell us about your current work-in-progress? NLB: At this writing, I am finalizing the third book in the series, and will send it off to my editors. I am an Indie-Author, so I have chosen these editors with great care. They keep me from being too wordy, or from using Scottish words readers might not understand, etc. I hope to release the third (but not final) book in late December or January. MM: Wonderful news! What inspires you when you’re writing? NLB: Money. 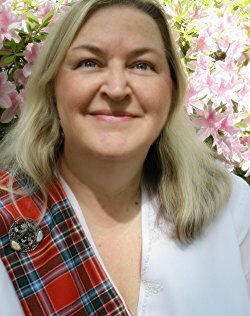 Let’s face it, I love to write, to get ideas on the computer, to twist the endings, to make sure the endings are happy, and to entertain, but an author writes to earn a paycheck. My two publishers closed their doors, so it is all up to me to bring the stories to my readers, in exchange for less money than a cup of fancy coffee. MM: You’re absolutely correct. What’s your favorite item on your writing desk? NLB: My cat. No fooling! I often work on my dining room table, which allows me to spread out notebooks, outlines, maps, etc. Unfortunately, my 14 pound cat, Blaze, loves to stretch out on the table. He is cute. I post photos of him ‘at work’, and he calms me. Champagne or Beer? Non-sweet iced tea for this New Yorker turned southern belle. Southern drawl or Scottish burr? I am surrounded by southern drawls, but only a Scottish burr gives me ideas for my next book. Kilt or Leather pants? Hubby owns two kilts, the Clan Gunn tartan and the MacBean. One son wears an army camo pattern kilt, and the other and his mate recently bought Clan Gunn kilts. If I lose some more weight, I will again wear the Gunn lady’s kilt left to me by my late mother-in-law. She bought it in Edinborough, Scotland. Print book or e-reader? That is a hard decision. I download books onto my phone and can enlarge the print. Paperback books have small print on off-white pages and are sometimes hard to read, but there is something about holding it in your hands. I have put 10 of my books into print to make sure my customers have a choice. Congratulations, Nancy on your new release! I’m wishing you all the best! My friends, don’t forget to visit Nancy’s blog and enter the contest. The giveaway is amazing! A dragon beneath a full moon might howl, but would still breathe smoke. 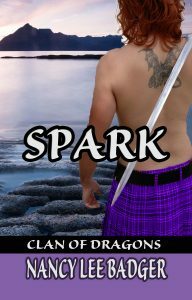 While tracking the human who murdered her lover, Kera awakens to find a dragon staring at her. With no energy to shift back into her wolf form, she allows Vika, a pretty human, to care for her. The dragons take up her search for a killer, but the pirates close in and she leads Vika to safety. 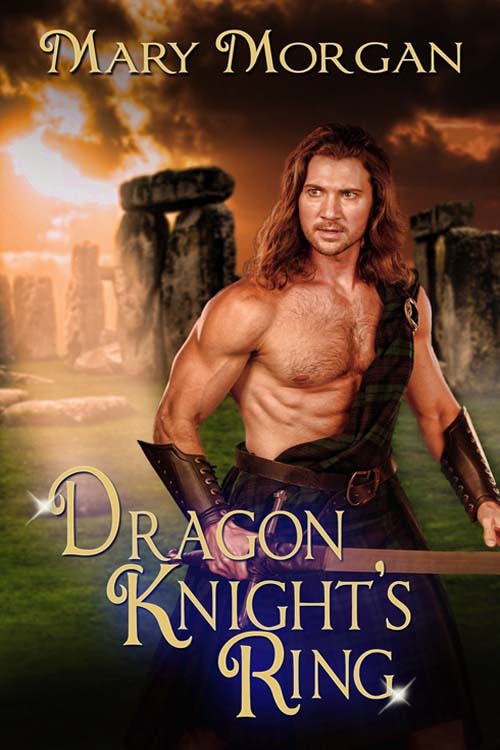 In the village of Morbhan, Toal abducts her and Wynn fights him. 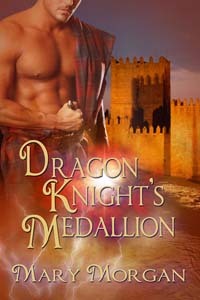 Her wolf pack wants her back, but the dragon has stolen her heart. Will she stay, return to her pack, or die while trying to kill her lover’s murderer? Either way, their lives will forever change. When Kera stepped into the warm pool, and flicked water at Smoke, he submerged in a crazy flail of his extremities. He surfaced, coughing. His golden hair hid his face, and he wiped it out of his eyes. A growl was her only warning before he pulled her into his chest. The shock of his immortality, or at least longevity, made her stop and think. If she fell in love with a dragon, how long would their life together last? She chewed her bottom lip, worried she was already past that point. Smoke eyed her warily, but did as she asked. She splashed water over his back and stared at the markings. 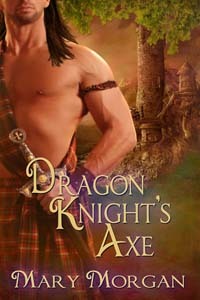 Instinct made her lean over, and she pressed a chaste kiss to the image that looked very much like her dragon. Fire laced through her lips, and a brilliant light made her slam her eyes shut. All the breath in her body blew out her nose, and a scream sliced through her parted lips. The next thing she knew, she awoke to find herself flat on her back on the hard dirt floor, staring up at the cave’s black ceiling. She blinked, and her vision wavered. Two dragons stared down at her, and she screamed. “I be naked, and you let your brother in?” She screamed louder. When her stomach lurched, she slammed her eyes shut. Calmer, she took another chance. When she opened her eyes, Smoke’s damp golden hair hung over one of two eyes. His worried expression made her swallow, but her mouth was dry as dust. Not only was her left hip aching something fierce, she sensed her bare bottom would show bruises on the morrow. He only smiled, and led her back to the pool. Enter To Win a Fabulous Prize! Thank you, Mary, for allowing me to share my new series with your readers. My son is getting a kick of signing the books as cover model! You’re so welcome, Nancy! Tell him I love the dragon tattoo! Fantastic news, Sharon! It’s definitely on my tbr list! Great interview and good excerpt. I finished Spark and am eagerly looking forward to Smoke. I am one of your readers who likes to hold the print version in my hands. I’m like you, Mickey. I have to have a print version, though I do have a Kindle. 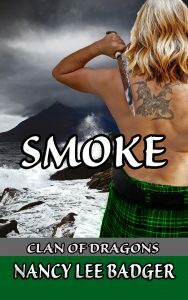 I’m happy to see SMOKE available in print. Great interview. I love ANYTHING Scottish, but then I’m half Scottish. The books look good also.